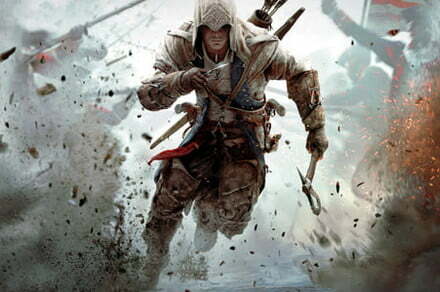 Just days after rumors stated that Assassin’s Creed III: Liberation Collection probably would come to the Nintendo Switch, the studio Ubisoft announced that the long-awaited saga Assassin’s Creed III Remastered will launch on march 29 for the PlayStation 4, Xbox One and PC via the Season Pass, or as a stand-alone version for sale for $39.99 dollars. Assassin’s Creed III Remastered, which presents a time line established in the origins of the united States, will include the Benedict Arnold Missions, the package Hidden Secrets Pack, and the three episodes of Tyranny of King Washington. For their part, Liberation Remastered follows the same story of the original release, set in New Orleans and during the same time period. The two games remastered will admit to 4K and HDR on PlayStation 4 Pro, Xbox One X, and PC, and 1080p on PlayStation 4 and Xbox One. However, the updates are not limited to the graphics, both titles also will offer a game mechanics are improved, with various features renovated or modified. The company points out that in Assassin’s Creed III Remastered, players will incarnate to Connor, an assassin master, “born of the beauty and brutality of the America of the SEVENTEENTH century”I. as it is about a bloody revolution, his tribe is being threatened by a powerful group seeking to crush the American Revolution and control the thirteen colonies. Shocked by the devastation of his village, Connor committed his life to the cause of freedom and embarks on a quest for decades to achieve it. For its part, the Tyranny of King Washington explores an alternate history where one of the greatest heroes of the united States, George Washington, succumbs to the temptation of infinite power. A new king is born and his reign leaves no one untouched. Players must return freedom to the land, toppling the tyrant that our hero once called friend. The story of Assassin’s Creed III Liberation Remastered shows an epic journey that will take you from the crowded streets of New Orleans to the swamps and even the ancient mayan ruins. The game follows the story of Aveline while fighting against the Spanish forces in the south of the united States, to win the freedom of their land and their people. This heroine fights for freedom in New Orleans of the EIGHTEENTH century, a city on the edge of a rebellion when the Spanish Empire imposed its weight and power. Being that Ubisoft is clearly working to continue the trend of games remastered, it would make sense that the titles are also released for the Nintendo Switch. We will keep you informed when we receive more news.